This article provides instructions to copy media files or cards from one Library to another Library. 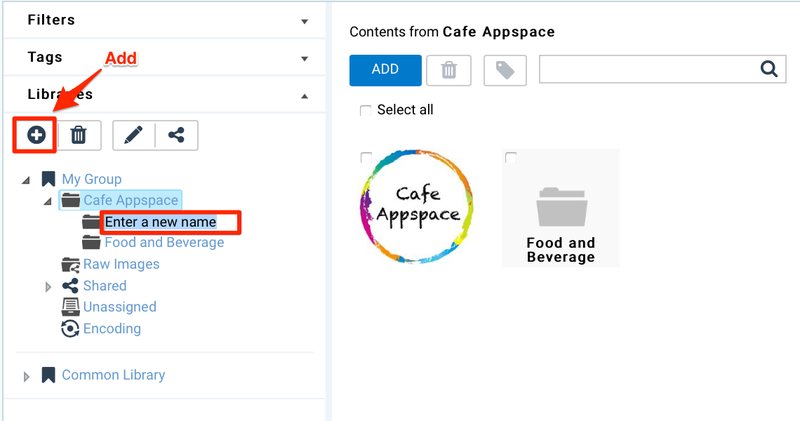 When content is copied from one library to another, the content retains its Content Properties in the Summary and Attributes tab. In Library, select the source folder of the desired content, and select the content(s) to be copied. Identify the target folder, and ensure that the folder is not in the same Library as the source folder. Drag-and-drop the selected content from the source folder to the target folder, to copy the selected contents. When content and folders are selected to be copied, only the content is copied, as the copy function currently does not support copying folders. Contents dragged and dropped within the same library will cause the content to be moved, rather than copied. You can only copy content across different group libraries.